BeachBlox free game is one of more than 400 free Games you can download at Free Ride Games, Match 3D beach blocks to blow them up and win! 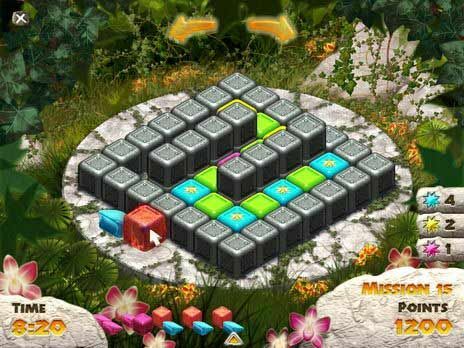 As you tackle the first of six island getaways, all you have to do is slide colored blocks onto a game board to create matches of three or more. Before long, you'll be spinning the board and using blocks with special powers to create brilliant matches no one else would have seen. Featuring over 100 puzzles, BeachBlox will take you on an amazing color-matching journey! Download BeachBlox for FREE and enjoy: * Six islands. * Over 100 levels. * Mouse-controlled gameplay. * Bright and colorful graphics. * High score boards. Free Ride Games is the only place where you can download over 300 top games for free, including Hidden Object games, Time Management games, Match Three games, Sports games, Puzzle games, Arcade games, Card games, Board games, Flash games, Fashion games, Food games, Online games, Word games and many more. We have hundreds of choices from the leading game publishers like iWin, PlayFirst, Sandlot Games, Mumbo Jumbo etc. Download BeachBlox free game and play it now.